Randy’s Mobile Mechanical Service specializes in Ford repair. We are experts at F-250 service and repair – whether gasoline or diesel. No matter if your Ford F-250 is a weekend friend, or a workhorse in your business, Randy’s Mobile can provide factory scheduled maintenance service, regular checkups, check engine light diagnostics, brake service, clutch replacement, water pump replacement, as well as any other repairs your truck may need. In order to provide trouble free service, F-250 requires regular maintenance. We can provide manufacturer scheduled maintenance and repair in our Concord auto repair facility. 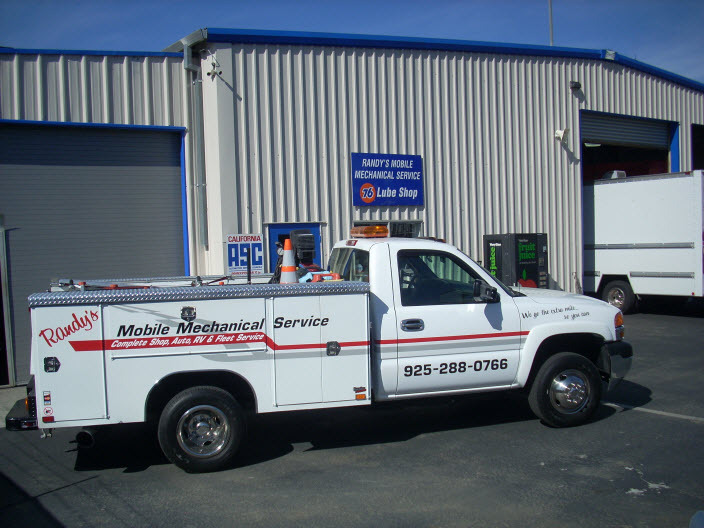 If the trouble finds you on the road, we can dispatch our mobile auto repair truck to get you going again. Our ASE certified mechanics can provide priority fleet service, whether your fleet consists of 2 or 20 vehicles. While generally tough and dependable, F250 trouble can include suspension problems as well as transmission problems, the most common being that transmission shifts hard. 2006 Ford F-250 is well known for the EGR valve failures, often combined with a blown head gasket. And yes, there is a Randy. With over 20 years of auto repair experience, Randy overseas all aspects of the operations. Often you will find him working on your vehicle. ASE certified mechanic, equally comfortable with Toyotas, Ford diesels, and 35 ft. long RVs, Randy will ensure that your vehicle will be handled with utmost professionalism and all work will be top quality. So whether you only need factory scheduled maintenance, or there is something seriously wrong with your F250, give us a call, or request an appointment online – we are here to help. For trusted auto Ford F-250 Service and Repair in Concord and across CA, visit Randy’s Mobile Auto Repair. Call us today or use our convenient online form to book your visit.